But, as with any business, it’s not always easy. You need to dedicate a lot of time and energy, but having something to call your own and being your own boss makes it all worthwhile. When you’re first starting your website, there are numerous things to think about and mistakes to be made! 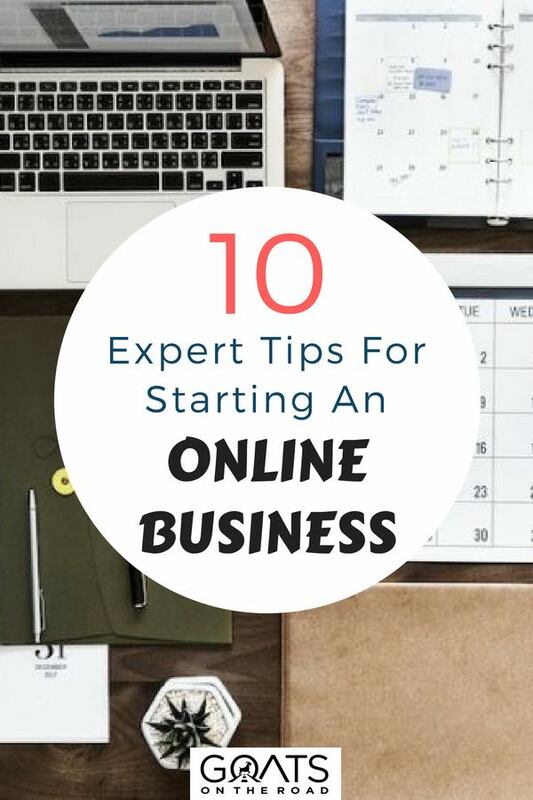 In this post, I’m going to tell you 10 mistakes new online business owners make, and how to avoid them. 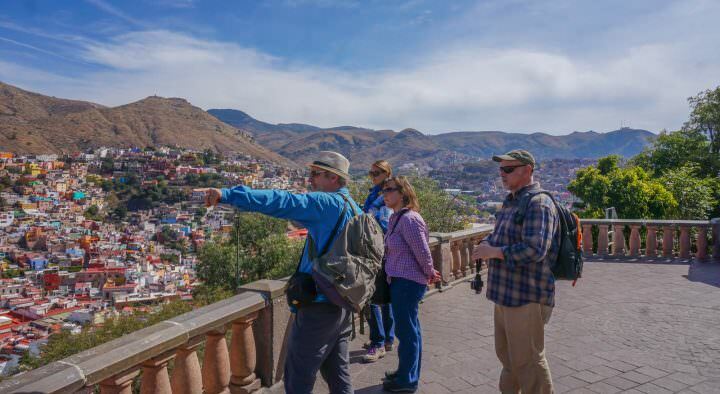 Want more travel job ideas? 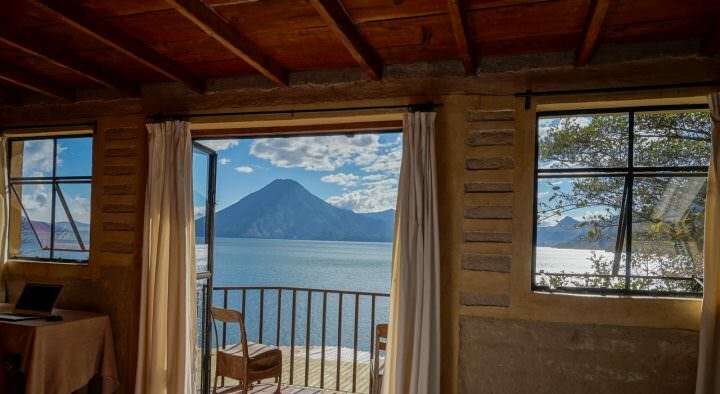 Check out our epic list of 101 Travel Jobs that can earn you money while you’re on the road! Before you do anything, you need to make a plan. You have to know where you want to go with your online business, what you want to convey, who is going to be your target audience, etc. Your niche. This is very important. Choose a topic you are passionate about. Something you don’t mind working on 24 hours a day if needed. Also, evaluate your niche, see what (and who) is already in this space, and what is still available for you to cover. Create an avatar / persona. In your mind, create a persona of your desired audience. Who do you want reading your blog and buying your products? What do they like, what do they do, how do they spend their free time? You have to make them as detailed as possible so that you know how to approach them. Name and tagline. Discuss blog name ideas and choose a name that is catchy and represents what you are doing. It should be easy to remember. Even better, create a tagline to go along with it so that people know why they are on your blog or website right away. This also makes it easier to remember you. Monetization strategy. It’s really nice to have a blog or website where you write about things you love. But what we all want when starting a business is to make money from it. So, you have to think how you want to monetize your online business. Are you going to do affiliate marketing, are you going to sell your own products? Marketing strategy. What is a site worth if no one sees it? That is why you need to think about how you are going to bring people to your site. Will it be through social media, through guest posts, through paid traffic? If it is with social media, for example, you will have to create accounts, create content, make ads, manage the accounts, etc. It’s important to think about all of these things up front. Design. Think about how you want your site to look. What colors do you want to use? Do you want your social media to have a special design? Do you have a logo? How should it be situated? These are all things that you should consider because it’s going to be the first thing that people see when they arrive at your site. First impressions are important. If you don’t have a clear plan from the start, you won’t have a focus or clear direction for your site, and will probably end up wasting a lot of time. There are many things that need to be done when starting a website. Some tasks have more importance than others, meaning they will require more of your time and effort. Rather than focusing on the small things, figure out what you need to do to help your business grow quickly. Details are important, but what should come first is having your business up and running. In the beginning, don’t worry too much about having the perfect profile picture. Instead, choose one that looks good, you can always change it later, just get something up. Don’t spend the whole day answering emails. Set aside an hour a day for this task and move on to other things. Don’t spend hours editing photos and working on your design, just spend a few hours. When you’re starting out, your site might not look exactly how you want it to, but that’s OK as long as it’s functional and user-friendly. Focus on creating good content first, and worry about meticulous design stuff later. It is better to get the things done even if they are not perfect than not getting them done at all. Work under the Pareto principle. Do 20% of the tasks that brings you 80% of the results. If Instagram brings you more readers and sales than Facebook, focus more on that platform. Creating content for your website will bring you traffic, while working on design and “small things” won’t. Work on the tasks that will bring you visitors, and money. This is one of the things that online business owners regret the most. They wished that they had started collecting emails from the very beginning. An email list is the best way to monetize your blog or website. Through the email list, you build a relationship with your audience. You send them great content and special tips and they get to know you. So when you recommend a product, tour, company, etc. they are much more likely to buy from you because they trust you opinion. A great way to build an email list is to make a “pop-up” with Thrive, Opt-In Monster or MailMunch. The best way to collect emails from that pop-up is to give away something for free to your readers. It might be an ebook, a checklist, a report, a course, templates, etc. It must be a relevant, high quality product for people to be willing to give you their email address. Once you have those emails, you’ll want to create an autoresponder. 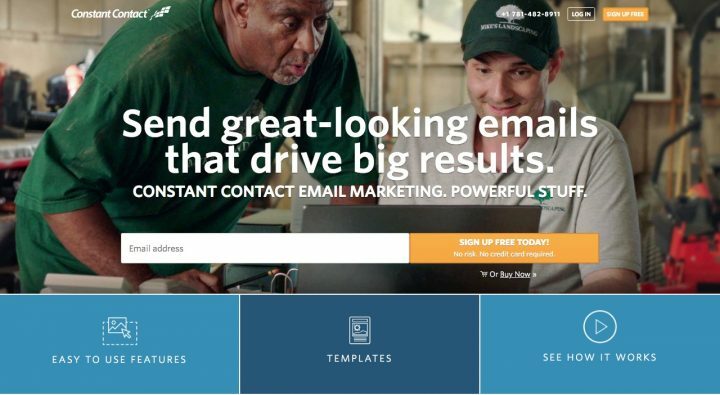 ConvertKit and ConstantContact are popular email marketing companies. ConvertKit is more for advanced users, while ConstantContact is great for beginners because they offer 2 months for free and a lower price point after that. If you want to take your emails seriously and you want help to build a good list, then the customer support with Constant Contact is what you’re after. They can help you every step of the way to ensure that your list is engaged and your emails are delivered to the inbox. Like constant contact, with ConvertKit, you can send out emails in a sequence to your readers, all of which are automized, meaning you don’t have to spend a lot of time writing them. It’s important to provide your best content or useful information in those automated emails, but it’s more important to still send out “real-time” broadcasts to the followers on your email lists as well. You might want to consider having an exit pop-up on your site for when people are trying to leave your site they are reminded that they can download your valuable free product. As you can see, having an email list is an important aspect of having an online business. Don’t miss out on monetizing your audience from day one. To be successful in social media you have to put in a lot of time and create very engaging content. New bloggers and website owners often underestimate what’s involved. Most people think it’s as simple as uploading a picture to Instagram once a day, and posting something on Facebook. This is just one small aspect of social media. First, you have to create the content, and needs to be really good in order for people to share it. You also have to engage with your audience in order for the algorithms from these social media platforms to actually show your content to users. If you just upload a picture a day without any engagement they will think your account is a spam account. Social media isn’t a “set it and forget it” type thing. If you receive comments or messages you want to answer them right away, and you should be commenting on other profiles from your niche. You’ll need to do everything you do with your personal social media accounts, but on a larger scale if you want to grow fast. All of this takes a considerable amount of time, and it’s better to learn one social media at a time until you’ve figured it out. Once you are rocking one platform, add the next one. Within a business, there are endless things that need to be done and even if you wanted to, you can’t do everything at once. It’s too much work and you’ll end up frustrated. 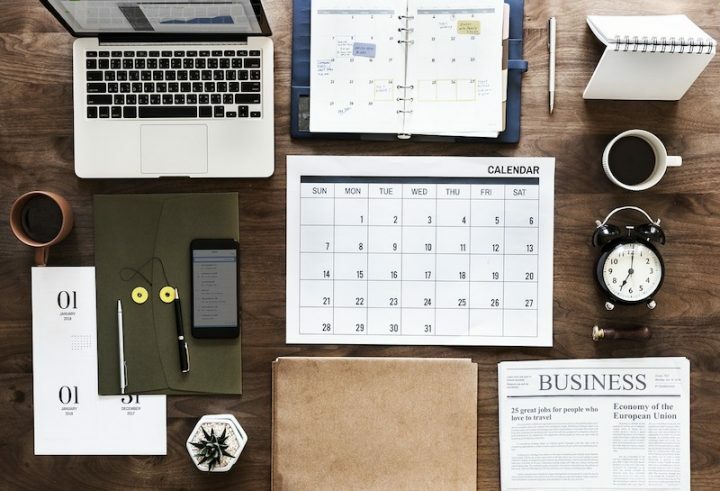 Instead of trying to focus on everything at the same time, decide on the one or two tasks that are the most important at that moment and get them done before starting with the next one. You can also enlist outside help to complete certain tasks so that your workload is less. Rather than trying to figure it out yourself, you can hire someone to do the website design, someone to take care of your email list, or hire a Pinterest manager. No matter what you need help with there is always someone who you can hire. There are many platforms where you can find freelancers or virtual assistance to help you with all these tasks. Have a look at For example Fiverr, Guru, Freelancer or PeoplePerHour to name a few. If you’re feeling overwhelmed, or there is something that you don’t know how to do, outsource that particular job. Not only will it give you more time to focus on other things, but most likely the person you hire will be faster at completing that task than you. 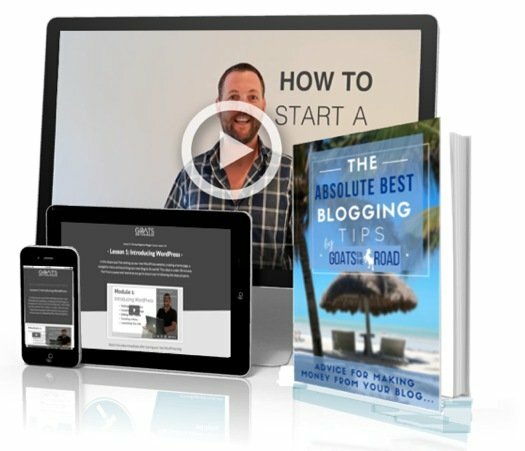 When most websites and blogs start out, they typically make their first bucks with affiliate marketing. Trying to figure out the affiliate marketing platforms, and learning how affiliate marketing works takes time, but earning passive income is the best. Earning a commission from travel insurance, hotel bookings, website hosting, Amazon, etc. is great, but if you have your own product to sell, you will take home the full sale price rather than just a small cut. I’m not saying that you should have a product for sale from the very beginning, but once you start getting used to the process of earning passive income, and building your audience you should start thinking about it. And since you started your email list from the very beginning you will have those readers to promote your products to. Ebooks. An ebook is a very common product because it’s easy and cheap to produce. It’s also easy to sell since it’s just a file as opposed to being a paperback. If you sell an ebook on platforms like Amazon you don’t even have to worry about customer service or the sales process. But, you can sell your own book directly on your site with E-junkie, keeping all of the profits. Courses. If you run a website about a specific topic it’s because you probably know more about that topic than most. So why not share that knowledge with others in a course? If you know how to set up a website, create a course on that. 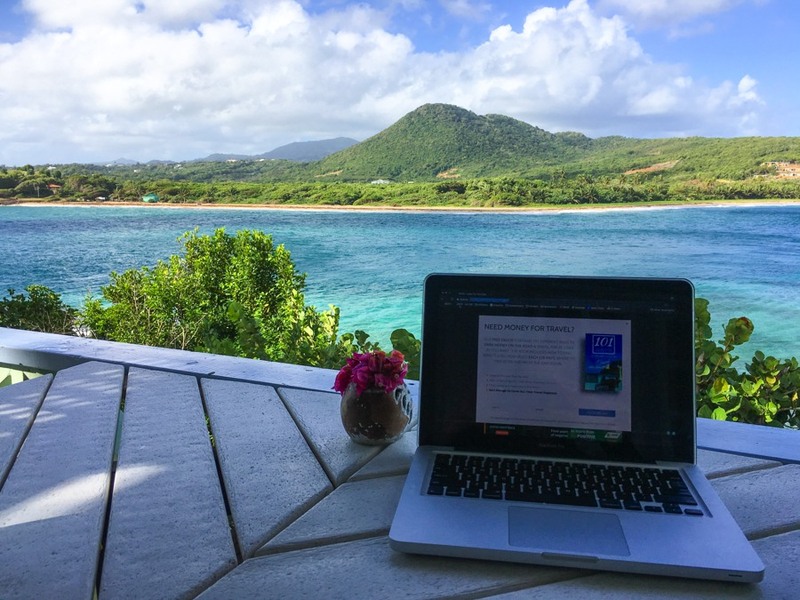 If you want to help people learn how to start a travel blog, create a course about that. Video tutorials, interactive media, podcasts, downloadable PDFs, etc. are all great components of a course. Membership sites. You can charge for membership on a site where you share exclusive content. Coaching. If you have something to teach and share, you can do it through coaching. This is a one on one service, and therefore more exclusive than a course. Presets or themes. If you have really cool Lightroom presets or an amazing WordPress theme, for example, you can sell them to your audience. Your audience will be waiting for you to have a product available, don’t make them wait too long! The internet is huge and like you, there are a lot of people looking for opportunities out there. So you have to do a bit of research and make yourself stand out. What are others in my field doing? How do they succeed? What can I do differently? You don’t want to be exactly the same as others in your genre. What makes you different and what can you offer your readers that your competitor doesn’t? Focus on what your customer / audience is interested in, and give them a reason to keep returning to your website rather than another. Most likely your readers have already checked out websites in your field, and it’s important to find something that makes you stand out – whether it’s your personality, your subjects, your writing, your epic photography, whatever it is, just make sure you’re unique. When starting an online business, it’s important to choose a topic or niche that you’re passionate about. If you’re starting a blog, you have to choose a topic that you are knowledgable on, and interested in. Something that you could talk about all day – food, tech, travel, fashion, beauty, dogs, etc. You will need to write a lot of really good content for your audience, which is much easier if you love what you are writing about. If you enjoy what you do you, it won’t feel like work and you’ll be happy to spend time on it each day. You have to think of your blog as your baby, and do everything you can to nurture it and help it grow. I started mine about traveling, because that is what I love and want to do no matter what, so why not combine the two? 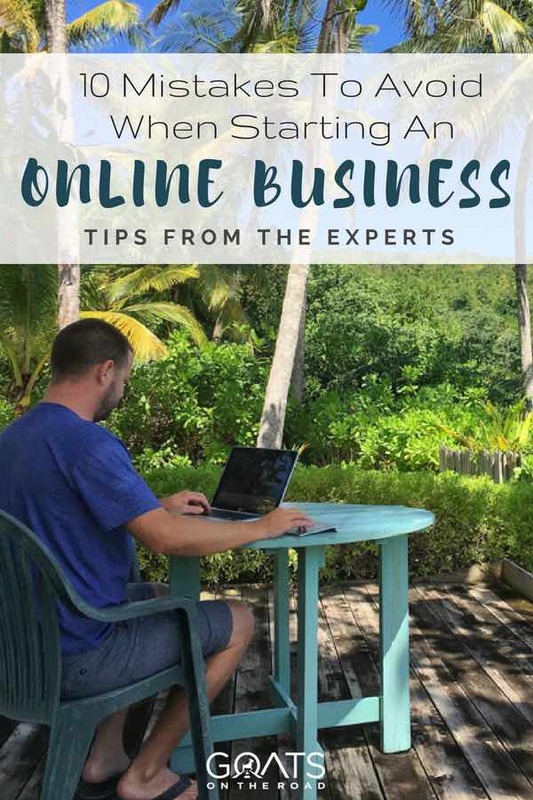 Many people think that when you start an online business, it will be up and running and making money in no time. This is almost never the case. A business takes time to grow and evolve. You have to be patient. It takes a lot of time and effort to build an audience and customers to buy your product or service. There are people who were lucky enough to build a business in a very short time. But don’t take that as your reference, instead, take realistic examples and focus on making your website work. Just because it might be taking longer than you expected, don’t quit. If it’s something you enjoy doing and are putting all your energy into, it will eventually work out. Give it time to flourish. 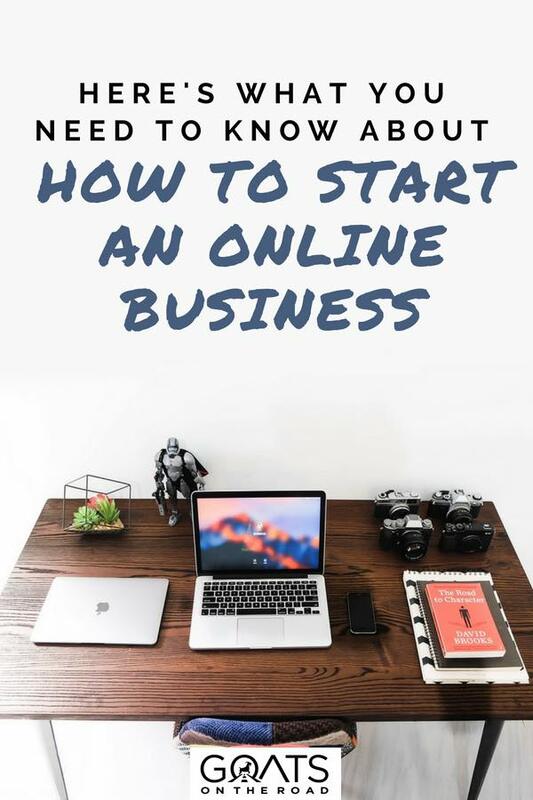 Before starting an online business, you’ll most likely need to do some research to learn how to run a website, and market your brand. And of course, you’ll spend some time in the beginning educating yourself on how to do so. But, once you know what you need to do, you have to start! There is always new information coming out, with much more to learn and read. 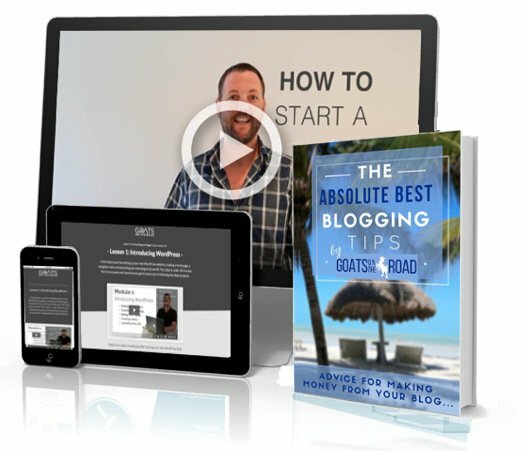 It’s important to realize when you know enough to start your blog and get it off the ground. Researching and gaining knowledge on the world of websites is important, but you also need to realize when you have enough information to launch – otherwise you’ll spend too much time surfing the web, rather than creating your business. You won’t know everything, and sometimes you will have to ask others in your virtual community for help. And that’s OK, the important thing is to just start. Learning is something that never stops, so don’t focus on knowing everything there is to know about blogging and running an online business. If you have an idea, run with it. Make a plan of what you want to accomplish, and figure out what you can do differently to stand out. Hopefully you’ll be able to avoid the 10 mistakes I listed above. 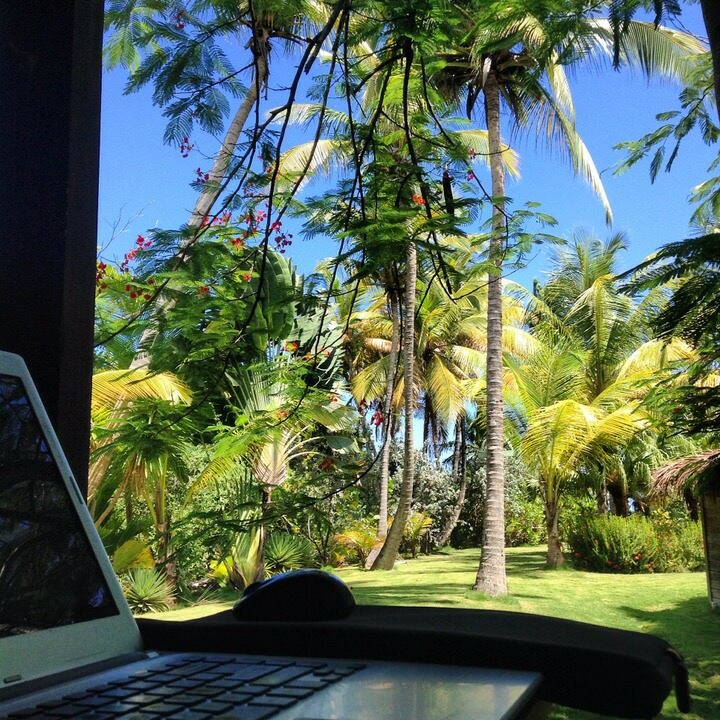 Happy blogging and happy entrepreneurship! We are Carla and Oliver and together we run Exciting Adventure. We left our lives in Berlin to travel and explore the world. 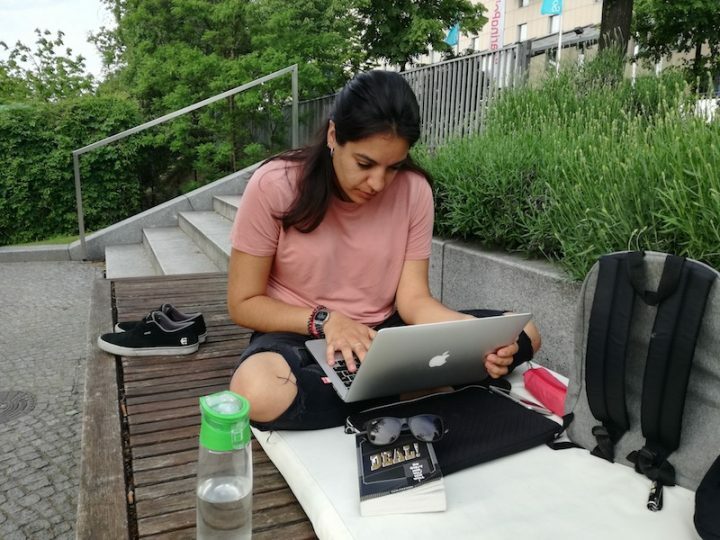 We became nomads by doing it and now we are on our way to become digital. You can follow our journey in our blog, where we give useful tips so that you can do the same. 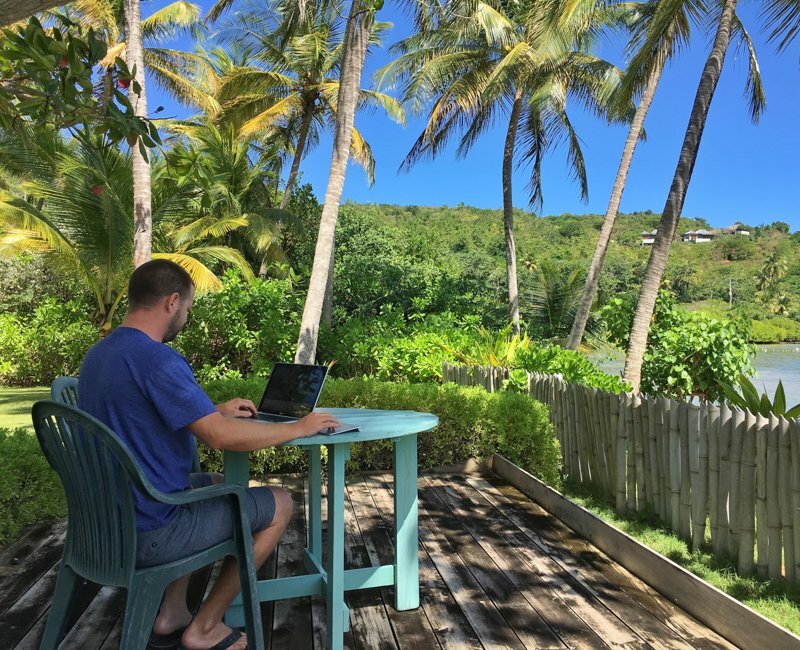 We believe that everyone should do what they love, and for us it is easier as digital nomads. Thanks for reminding me of the 80-20 rule. This list was really helpful! And that bit about perfecting every social media platform, I can totally relate. Definitely. It’s so important to focus on the things that will earn you money / bring value, rather than all of the other little things. As far as social media goes, we were trying to do every platform, including YouTube, and it’s simply not feasible at first. Cheers! These are really common mistakes that many people do, your blog is very helpful thank you for sharing, Keep it up. This is the best info I’ve stumbled upon! Working on starting my own website. 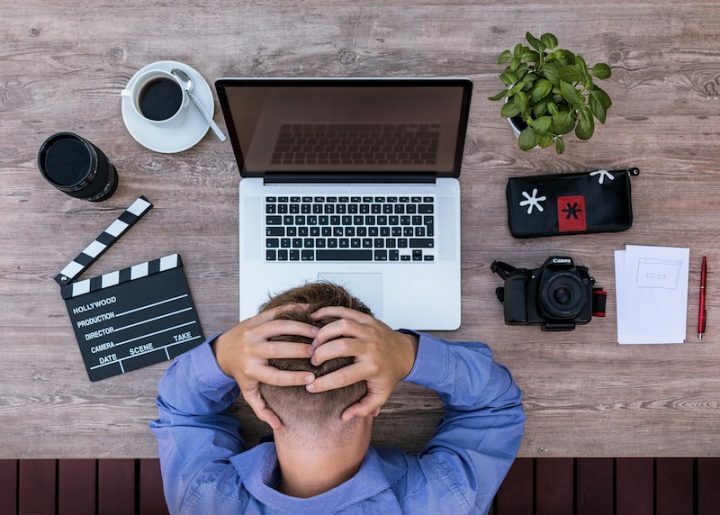 One of the most common reasons why online businesses fail is that they offer a product or service that doesn’t really solve any significant problem. It may seem like a good idea at the time, but after some evaluation you may find that the problem you solved is not perceived to be a problem by your potential customers. Will in it the biggest tip is that you never underestimate your competitor, and analyze them very well. 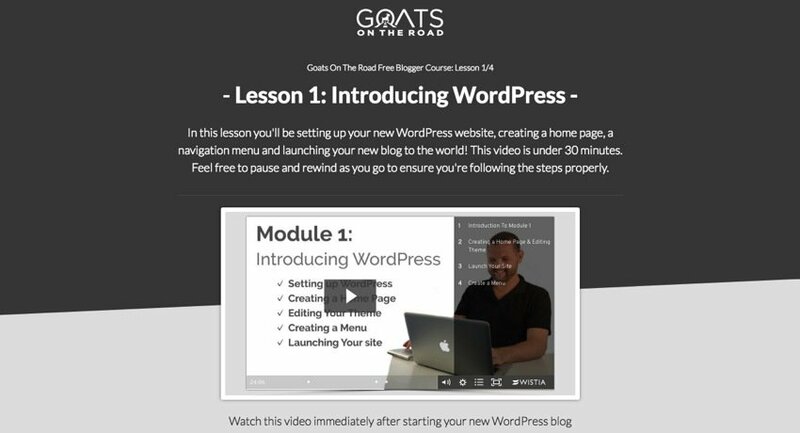 I am starting on your course starting a WordPress website. I am having trouble with too many choices! So many themes, plugins. And I’m not tech savvy at all.